The print and online versions of our June 2018 issue are out now. At the end of 2014, Glenda Garelli (DePaul University), Alessandra Sciurba (Università degli Studi di Palermo) and Martina Tazzioli (Swansea University) came to us with a stunning proposal for a special issue/symposium of Antipode. What they staged was a forum for scholars both eminent and emerging to get together with their fellow travellers from the world of activism, enabling them to combine and develop their insights and bring them to bear on one of the most pressing matters of the day – the history, present condition, and future(s) of the so-called “migration crisis in the Mediterranean”. Composed of interviews, shorter interventions, and more traditional essays, their collection, “Mediterranean Movements: Mobility Struggles, Border Restructuring, and the Humanitarian Frontier”, is a signal achievement, and Antipode’s Editorial Collective would like to take this opportunity to thank, again, all the contributors – especially Glenda and Martina – for making it happen. 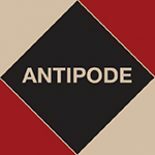 Antipode occasionally publishes special issues and symposia. The Editorial Collective seeks papers that both individually and collectively make a significant contribution to the advancement of radical/critical geography, whether by pushing debates forward in novel ways or by taking discussions in new directions. We look for papers that speak to ongoing conversations in the field, to be sure, but as representatives of an undisciplined discipline we also look for papers that stray beyond established borders (of all kinds) and that think creatively about the journal’s lines of descent and possible futures. And a “symposium”, of course, is a party, so we look for papers that are not only lively and well-presented but also engaging – papers that are in dialogue, meaningfully connecting with each other, and holding together as a collection to form something more than the sum of its parts. A strong introduction to a special issue or symposium takes on these provocations in bold and compelling ways. The Editorial Collective meets twice a year, in June and November, to consider proposals. These should explain the collection as a whole and its “fit” with Antipode (in no more than 1,500 words), and should also include biographical sketches and 150-word abstracts from authors. Symposia consist of around seven essays, each 9,500 words (inclusive of endnotes, references, tables and figures), and a guest-editor’s introduction. Proposals should be e-mailed to Andy Kent (antipode@live.co.uk) before the end of May and October, and decisions will made before the end of June and November. If you have a question, please get in touch with Andy. This entry was posted on 18 May 2018 by Antipode Editorial Office in News and tagged abandonment, asylum seekers, Étienne Balibar, border management, border restructuring, borderzones, Charter of Lampedusa, Europe, European Union Naval Force, Federica Sossi, Fortress Europe, From One Shore to the Other: Lives that Matter, Frontex, human rights, humanitarian assistance, humanitarianism, Imed Soltani, Italy, Le Venticinqueundici, Mare Nostrum, mass drowning, Médecins Sans Frontières, Migrant Offshore Aid Station, migration, mobility struggles, Nicholas De Genova, Operation Triton, precarious lives, Sandro Mezzadra, Sea-Watch, search and rescue, shipwrecks, surveillance, the EU, the humanitarian frontier, the Mediterranean, Toni Negri, Tunisia.